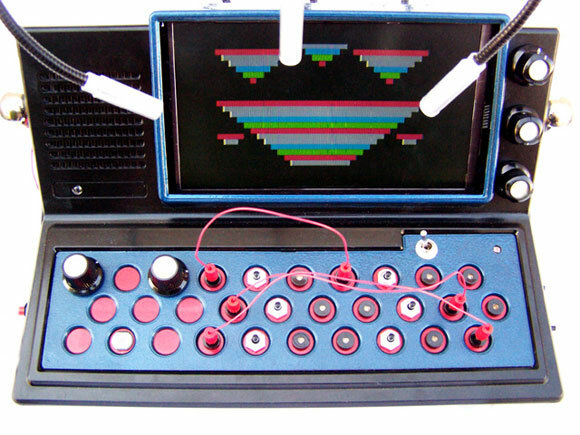 You may have seen the Video Critter video synth hardware kit generating visuals using cellular automata algorithms. (Think cell-based models a la the Game of Life.) But you haven’t seen it quite like this. 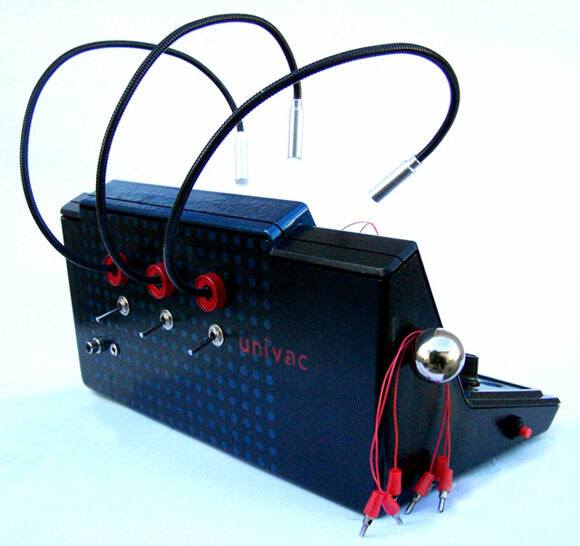 Univac has combined the Critter kit with a VTECH LessonOne educational toy (boring toy, beautiful case), quite a lot of circuit bending, light snakes with optical sensors, a bending patch bay, plus a 7″ LCD screen for viewing it all. Result: self-contained, patchable, performable cellular automata video synth! It’s really quite lovely — and another reminder why we need hardware video mixers, so we can easily manage the output of goodies like this. Univac has many other wonders of bent sound and visual devices on his site. For more cellular automata, check out the free Nintendo DS music sequencer glitchDS, which just happened to land in my inbox at about the same time.